Frozen Buns Runners – We wanted to let you know that we are monitoring the weather forecast for race day closely. The safety of our participants and volunteers is our #1 priority. 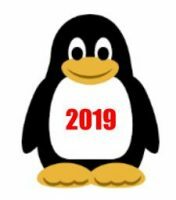 If we have to make any changes, due to the weather, we will post an update on the Facebook Page by 8:00 pm Friday (1/18/19). 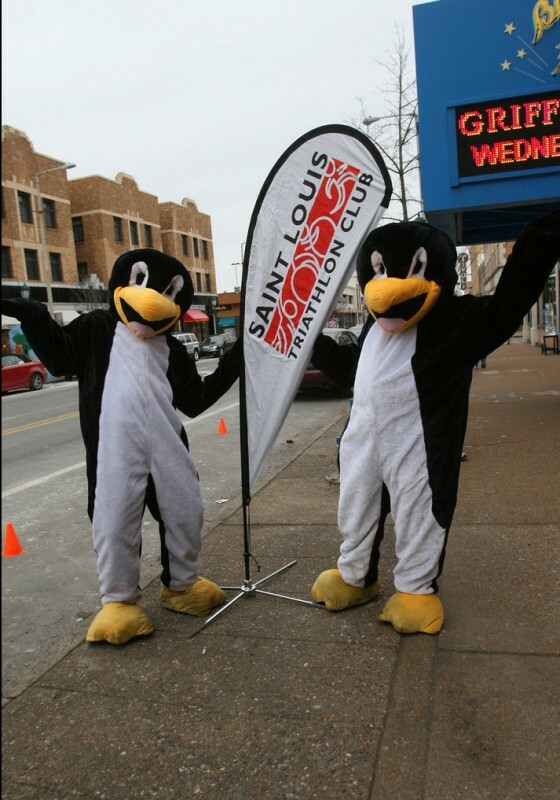 Join the Saint Louis Triathlon Club on January 19th, 2019 for the 13th Annual Frozen Buns Run. We encourage you to come on out and meet or exceed your new 2019 running goals or aim for a new 5k or 10k PR! Bring the whole family along as race morning coincides with the annual Loop Ice Festival to support local businesses. This race is regarded for its awesome finish line party with loads of snacks, music and an awards ceremony at Blueberry Hill. And how often do you get a chance to run alongside a penguin? 2007: The inaugural year of the Frozen Buns Run. The Saint Louis Triathlon Club was approached by University City and asked to coordinate a 5K race to coincide with the City’s new Ice Carnival. Attendance was about 40-50 runners and timing was done with a stopwatch. 2008: The STL Tri Club teamed up with Big River Running for race timing and results. Attendance was also about 50 runners. 2009: The first year of having dedicated race directors and the race became better organized and promoted, successfully attracting 200 runners on race day! 2010: A 10K route was added modeled after the UC Library Memorial Day run. The race was capped at 400 runners (evenly split) and capacity was reached by race morning. 2011: 375 runners and BRR moved to chip timing. 2012, 2013, 2014, 2015: Over 500 people register for the race each year. The finish line party and awards ceremony were improved to include plentiful snacks and refreshments as well as finisher awards and giveaways. As before, we’ll offer both 5K and 10K races. If you have any questions, please contact us by email at frozenbunsrun@stlouistriclub.com. We need volunteers! Email us at volunteer@stlouistriclub.com to volunteer or hit the button below to signup for a spot. Awards will be given to the top 3 in each age group and will be held in the Duck Room at Blueberry Hill. 5k awards will be announced at 11:00 am and 10k awards will be announced at 11:30 am. Both start on Delmar in front of Blueberry Hill in University City and end on Kingsland near the University City Library. Street parking is also available throughout The Loop area. Check for any parking restrictions/meters on each street. Parking will not be allowed on the southbound side of Kingsland Ave. There will be no refunds under any circumstances. This policy will be strictly adhered to for fairness to all. There may be a location for awards and SWAG to be picked up after the race but nothing will be mailed.